MK Yisrael Eichler wants to pass a law banning the state from paying more money to those that work on Shabbat. 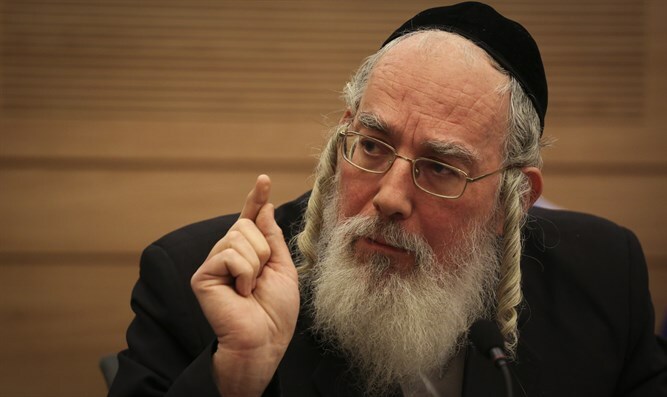 MK Yisrael Eichler (UTJ) has announced his intention to initiate a new law that would ban government ministries and organizations from paying workers overtime on Shabbat. Labor laws stipulate that Shabbat and Jewish holidays are enforced as days of rest. Employers are required to pay employees working on the day of rest a minimum 150% more. Government employees often get paid four times as much as their regular salary to work on Shabbat, and Eichler says that these policies discourage Shabbat observance. "We have to protect workers that keep Shabbat," said Eichler. "Many non-observant Jews want to keep Shabbat, but gets seduced by the vast economic benefits that working on Shabbat brings. "The state harms the Jewish education that every Jewish citizen wants to give over to his children. We are not banning these policies in the private sector, but rather the public sector that pays extra 'Shabbat wages' from our tax revenues" Eichler added.